Charter schools used to be seen as the hot new concept in education. But that fad seems to have jumped the shark. For two decades since the first charter school law was passed in Minnesota, they’ve grown at about 6 to 7 percent nationally. But for the last three years, that growth has dropped each year – from 7 to 5 to 2 percent. Even states that historically boasted the most growth are falling behind. Of charter powerhouses Texas, Florida, Ohio and California – only Texas has shown a significant upward trend. How did the hippest new thing to hit education since the chalk board suddenly hit such a wall? After all, it wasn’t so long ago that every celebrity from Magic Johnson to Andre Agassi to Deion Sanders to Sean “Puffy” Combs to Pitt Bull had their own charter school. Even Oprah Winfrey, the queen of multimedia, donated millions to charter networks in Louisiana, California, Pennsylvania, Colorado, Texas and her home state of Illinois. How could something with so much high profile support be running out of gas? The Center on Reinventing Public Education (CRPE) has a theory. The charter school funded think tank (read: propaganda network) released a report boiling the issue down to three factors: real estate costs, a teacher shortage and political backlash. Real estate costs? Yes, few public schools want to offer you public property to put your privately run school that will inevitably gobble up a good portion of its funding and turn a portion of that into profit for private investors. Teacher shortage? Yes, when you pay your educators the least, don’t allow your employees to unionize, and demand high hours without remuneration, you tend to find it harder than most educational institutions to find people willing to work for you. Political backlash? DING! DING! DING! Of course, most people who aren’t paid by the charter school industry – as those working for CRPE are – would simply call this a charter school backlash – not political, at all. This isn’t one political party seeking advantage over another. It’s concerned citizens from both sides of the aisle worried about the practices of the charter school industry. The general public is starting to understand exactly what charter schools are and why they are a bad idea for children and society. -Charter schools are rarely controlled by elected school boards – they’re run by appointed bureaucrats. -They are often run for profit –which means they can reduce services for students and pocket the savings. -They cherry pick which students to enroll and how long to keep them enrolled – they only let in the easiest to teach and give the boot to any that are struggling before standardized testing time. -And they very often close unexpectedly and/or are the site of monetary scandals where unscrupulous charter school operators take the money and run. Moreover, it’s no accident that much of the criticism of charter schools comes from people of color. About one quarter of all charter school students are black, whereas black students make up only 15 percent of enrollment at traditional public schools. To put that in perspective, approximately 837,000 black students were enrolled at charter schools during the 2016-17 school year. Yet civil rights organizations are concerned that this over-representation is having negative consequences on students of color. The National Association for the Advancement of Colored People (NAACP) has issued numerous criticisms of charter schools most recently calling for a moratorium on them. So has the Movement for Black Lives and the Journey for Justice Alliance. In addition to the concerns already mentioned, civil rights advocates are concerned with the tendency of charter schools to increase racial segregation. Seventy percent of black charter school students have few white classmates, according to a study by the Civil Rights Project at UCLA. But some charters are even worse. More than 1,000 of the nation’s 6,747 charter schools had student bodies made up of at least 99% minority students, according to an Associated Press analysis from three years ago. And it’s getting worse! Certainly increasing segregation is a problem even at traditional public schools, but nothing like the numbers we’re seeing in the charter school sector. Civil rights leaders know that “separate but equal” schools don’t work because when they’re separate, they’re rarely equal. For instance, charter schools suspend students at a much higher rate than traditional public schools. Some charters suspend more than 70% of those enrolled, according to an analysis from the Center for Civil Rights Remedies at the University of California, Los Angeles. Researchers found the situation is even more dire for minorities. Black students are four times more likely to be suspended than white students, and students with disabilities are twice as likely to be suspended as non-disabled students. With all these problems dogging their heels, it’s no wonder that the charter school juggernaut is starting to lose momentum. Instead of concentrating solely on why these schools are losing popularity, we should also ask what set them shooting off into the stratosphere in the first place. After all, no one was really crying out for private schools run with public money. No one, that is, except big business and greedy investors looking for a quick buck. Since the Clinton administration, charter school investments get automatic tax credits that allow investors to double their money in as little as 7 years. Lobbying at the state and federal level by charter schools and their investors and contractors have enabled a monetary scam to enrich private industry at public expense. Put simply, charters are not subject to the same instructional, operational, fiscal, accounting or conflict of interest rules as traditional public schools. Therefore, in most states it’s perfectly legal for a charter school operator to give his brother the instructional contract, his sister the maintenance contract and his uncle the textbook contract. He can replace the teachers with computer programs and apps, while his own privately held company rents and leases the school building at a hefty markup – all with public money. And somehow that’s still called a “public” school. We have to face this simple fact: Charters took off not because they were a good idea to help kids learn, but because they were an excellent way to make a lot of money off of the government. It was a way to steal money meant to help children. What we’re seeing in terms of a backlash is just a more common realization of the motives behind charter schools echoed in the negative consequences these schools leave behind. And in the Trump era, charter schools can’t hide behind a friendly face like Barack Obama. The neoliberal agenda is as fervently being pushed by the right wing as the left – more so. This slowdown may signal that people have gone beyond politics. We don’t care what the left and the right wish to sell us. We’re not willing to buy the charter school boloney anymore. If our policymakers want to continue getting our votes, they may need to give in to what the people actually want and stop trying to lead us over the cliff and feed us to the sharks. White America has a history of freaking out at perfectly reasonable suggestions by the black community. Hey, maybe black people shouldn’t be slaves. SOUTHERN STATES SECEDE! THE CIVIL WAR BEGINS! Hey, maybe black lives should matter as much as white ones. BLUE LIVES MATTER! MAGA! TRUMP! Hey, maybe we shouldn’t be making money off of children’s educations? That’s what seems to be happening at think tanks and school privatization lobbying firms across the country after a new report by the National Association for the Advancement of Colored People (NAACP) this week. However, the report, titled “Quality Education for All: One School at a Time,” basically says nothing more revolutionary than that all public schools should be transparent and accountable. More than 3 million students attend charter schools across the country. Approximately 837,000 of them are black. Don’t they deserve the same kinds of democratically controlled schools and fiscal responsibility as their counterparts in traditional public schools? Somehow your local public school is able to teach kids while still keeping a record of how it’s spending its money – your money. And if you don’t like what’s being done, you can go to a school board meeting and speak up or even run for a leadership position. How does getting rid of that help kids learn? How does operating in secret in the shadows benefit children? The report also recommends that local communities should have more control over whether to open charter schools in their districts and calls for an end to for-profit charter schools, altogether. Not exactly the musings of anarchist provocateurs. Charter school cheerleaders like Education Secretary Betsy DeVos call their movement School Choice. Shouldn’t communities get to choose whether they want them there in the first place? If the program is based on the free market, let them make their case to the community before setting up shop. They shouldn’t get to make a backroom deal with your congressman and then start peddling their wares wherever they want. Moreover, if charter schools are, indeed, public schools, why should they be allowed to operate at a profit? They are supported by tax dollars. That money should go to educating children, not lining the pockets of venture capitalists and hedge fund managers. The author’s also call out charters infamous enrollment and hiring practices. Specifically, these kinds of privatized schools are known to cherry pick the best and brightest students during admissions, and to kick out those who are difficult to teach or with learning disabilities before standardized testing season. The report called for charters to admit all students who apply and to work harder to keep difficult students – both hallmarks of traditional public schools. In addition, the report suggests charters no longer try to save money by hiring uncertified teachers. If charters are going to accept public money, they should provide the same kind of qualified educators as their traditional public school counterparts. 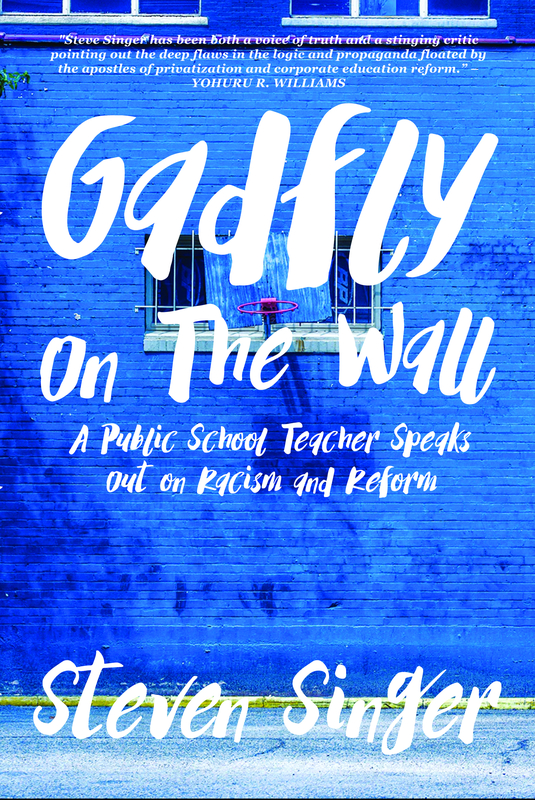 The report was written by the 12-member NAACP Task Force on Quality Education after a set of intensive hearings or “listening sessions” across the country in cities such as New Haven, Memphis, Orlando, Los Angeles, Detroit, New Orleans and New York. The final product is the result of the input they received during these meetings. This is only the latest in a growing movement of skepticism toward privatized education of all sorts – especially in relation to its impact on students of color. Less than a year ago, the NAACP, the oldest civil rights organization in the country, called for a moratorium on any new charter schools. This week’s report takes that caution to the next level. Despite a truly controversial record, over the past decade, the number of students in charter schools has nearly tripled. In terms of pure numbers, black students only make up more than a quarter of charter school enrollment. However, that’s a disproportionately high number since they make up only 15 percent of total public school enrollment. To put it another way, one in eight black students in the United States today attends a charter school. The NAACP isn’t the only civil rights organization critical of charter schools. Groups such as the Journey for Justice Alliance, a coalition of grassroots community, youth, and parent-led organizations, and the Movement for Black Lives, a conglomeration of the nation’s youngest national civil rights organizations, have also expressed concern over the uses and abuses of students of color in charter schools. However, this week’s report wasn’t focused solely on privatization. It also addressed the central issue at traditional public schools – funding disparities. Closing the achievement gap requires specific investment in low-performing schools, not punitive measures. There should be more federal, state, and local policies to attract and retain fully qualified educators, improve instructional quality, and provide wraparound services for young people. The report suggests states model their funding formulas on those of Massachusetts and California and that the federal government should fully enforce the funding-equity provisions in the Every Student Succeeds Act (ESSA). It would be difficult to find more rational and reasonable solutions to the education problems in today’s schools. But pay attention to the response it’s getting. Corporate reformers are running scared with their hair on fire as someone finally has the guts to point out that the emperor is walking around stark naked!